The renowned Virginia pig farmer had really big news. The executive team from Chipotle was headed to his farm to source pigs for their growing burrito empire. The farm-to-table movement is certainly in vogue. Restaurants across the country are heralding the slogan to market their food. Even McDonalds put out an advertising campaign profiling one of their hardworking potato farmers. 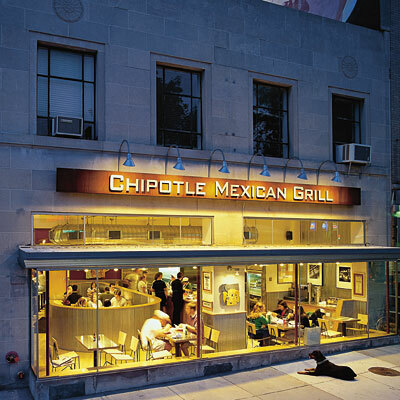 Chipotle has also leveraged farm-to-table -- with a campaign called "food with integrity" -- to sell burritos. And from a cursory look, it too could be just a marketing campaign. Which is what I thought until Chipotle showed up that morning on the farm. The Chipotle team arrived in Virginia eager to learn about Bev's operation. Bev Eggleston -- recently named the 'patron saint' of the local food movement -- began raising pigs ten years ago on a 100-acre farm in southwestern Virginia. His vision soon outgrew the farm. He then leveraged the farm (his only asset besides his delivery truck) to secure a loan and open a USDA processing facility where he could slaughter his animals. But he couldn't raise enough animals to supply the growing demand. So he began recruiting farmers across the tobacco belt to grow pigs outdoors. A decade later, Bev works with thirty farmers who grow pigs the "right" way, marked by a deep reverence (Bev's energy rubs off) for the animals and the land.